Car Seal Open, Car Seal Closed - What does it mean? If your job is in anyway connected with pipeline processes, piping design or valve equipment supply, you may well have come across the terms Car Seal Open, Car Seal Closed, CSO, or CSC written on P&ID’s (Piping & Instrumentation Diagrams). 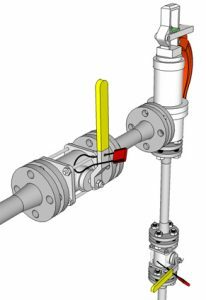 Very simply, the terms describe the need to lock (seal) a valve to prevent operation either in the open or closed position. The device to achieve this is a Car Seal. The term derives from a device used to seal the cargo on railway cars. Much like the seals you sometimes see on the back of container lorries. They provide evidence of any tampering with the contents of the car or container. Basically they work much like a plastic cable tie. 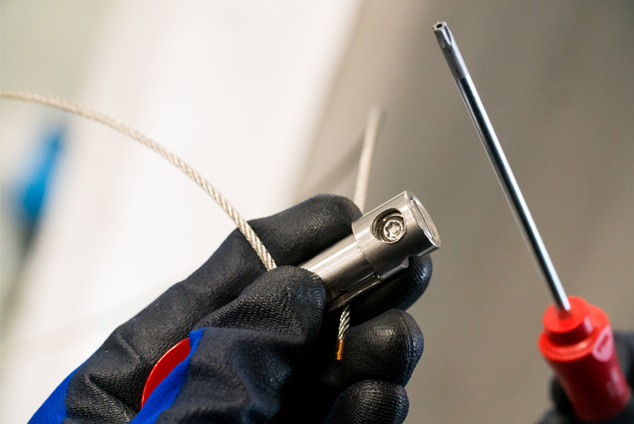 For valves, you pass the cable around the wheel or lever, then around the body of the valve or nearby steel work, push the end of the cable into the seal body. The cable is now locked in place and cannot be removed. The valve is now ‘sealed’. To restore operation of the valve, the seal has to be cut. They are a relatively low cost, consumable item. Available in different cable lengths and colors. The seals can be uniquely marked with a serial number. Total Lockout (Safety) Ltd offer a range of car seals on their website. Click here for more information on car seals and how to implement a car seal program. If you need help to select the right seal or are unsure of the cable length you might need, call or e-mail us today. What are the specifics that define a car seal? Car Seal versus LOTO, what’s the difference?